The Mendham Borough, New Jersey, open space master plan envisions a loop trail network that connects borough parklands to the Morris County trail system known as Patriots' Path. In 2008, TPL helped the borough protect 107 acres that serves as a hub for the trail network while preserving critical wildlife habitat, mature forest, and the headwaters of McVickers Brook, an important tributary of the Raritan River. Existing trails on the property will be improved and linked with those on the adjacent Schiff Preserve providing the public with over 450 acres of uninterrupted open space. 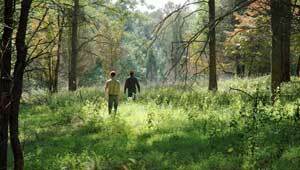 Mendham Borough and the Schiff Natural Lands Trust jointly own and manage the McVickers Brook Preserve.